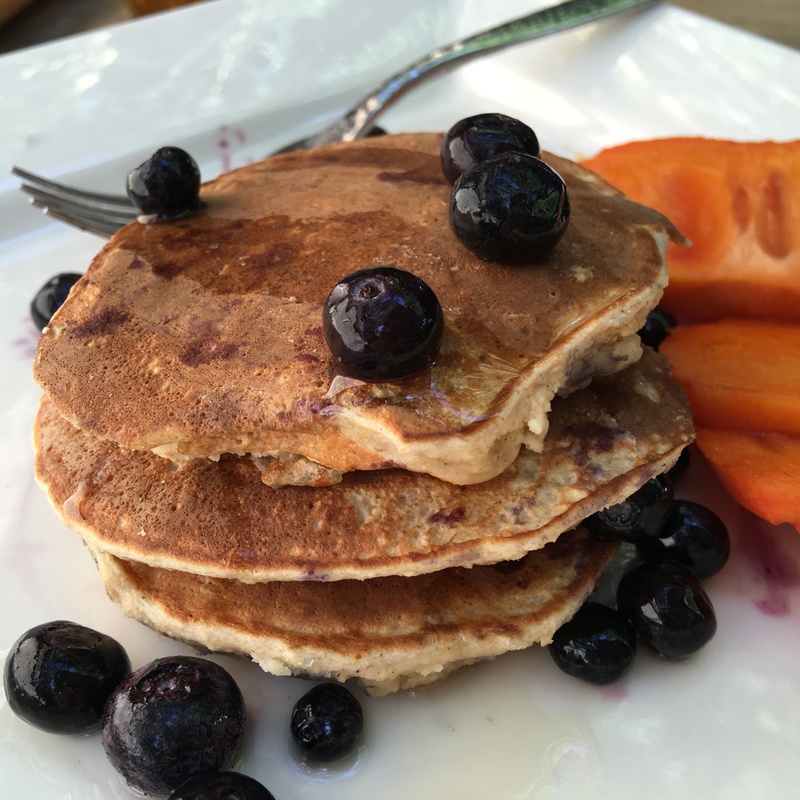 Slim and Trim Pancakes! That is the title of this easy pancake recipe because there is only wonderful ingredients in these pancakes. No butter, flour, oil, junk and they are gluten free. 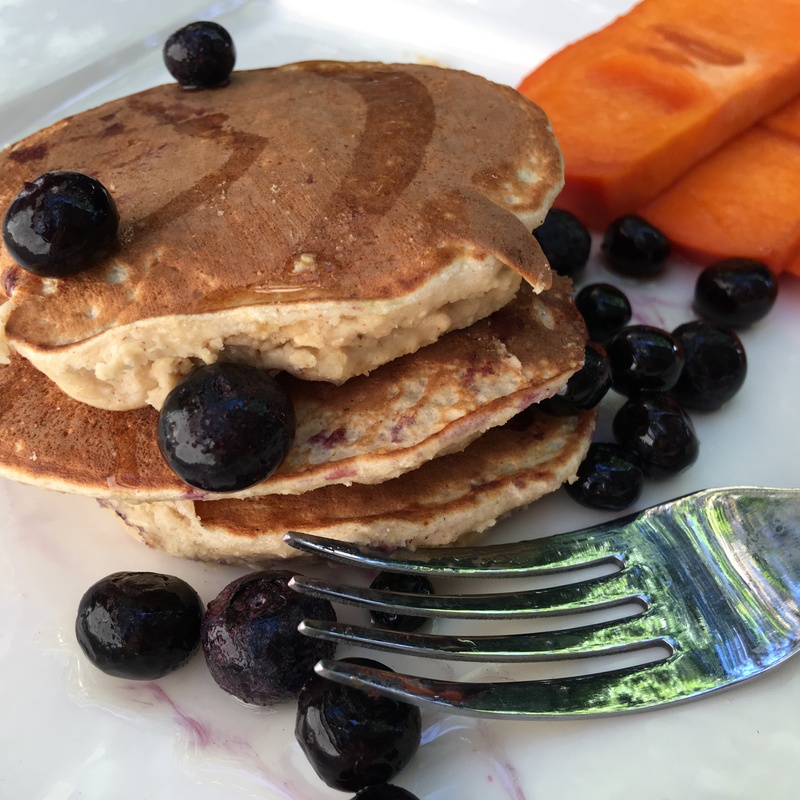 With these you can indulge and all while enjoying yummy, good for you pancakes. I find I make these usually every weekend and we just love them. Takes 5 mins. The recipe is for one - so just double or triple to feed more. Add your favorite fruit. We like blueberries, banana, apples or persimmons. 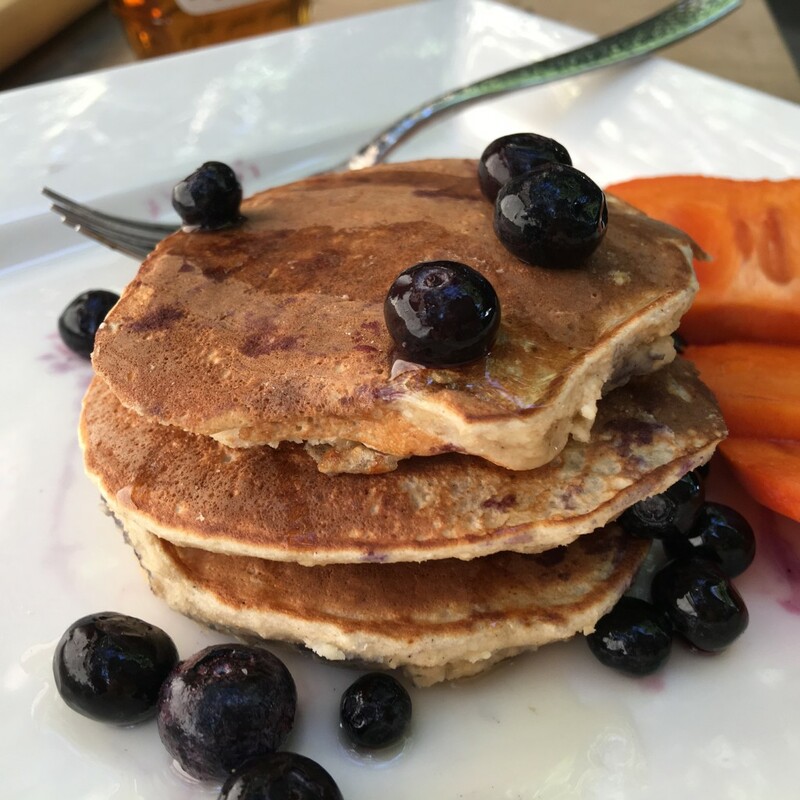 Try all my breakfast and pancake recipes. Enjoy! Skinny pancakes! 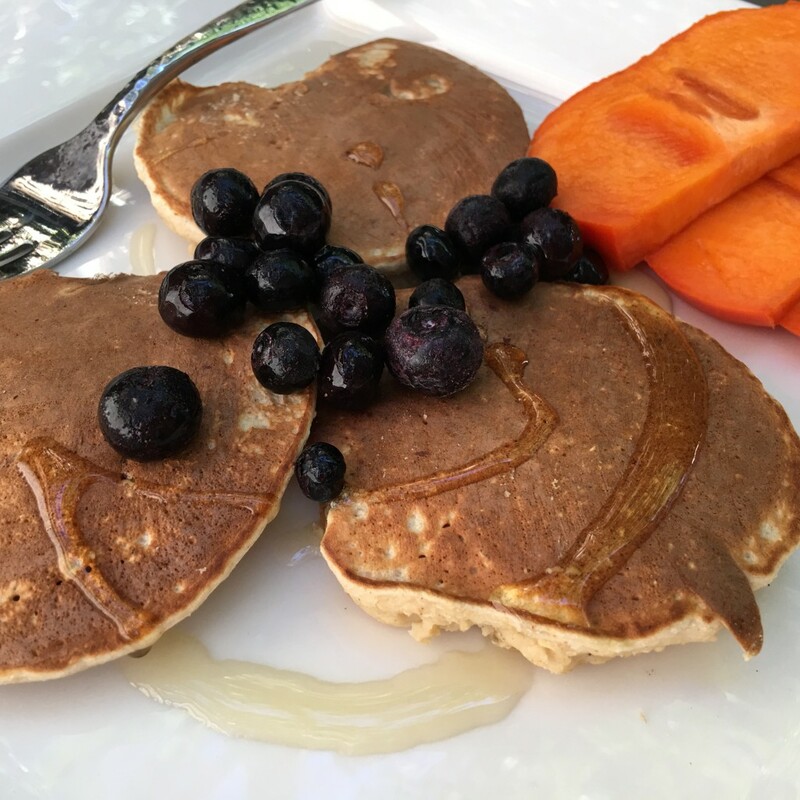 A protein packed breakfast made with only natural and healthy ingredients. Perfect for all and kids too. Place all the ingredients in a food processor. Can use blender too. Blend for about 30 secs until mixed. Heat a pan over med heat. Spray pan with cooking spray. Pour the batter onto the hot pan. I try to fit 3 pancakes. Flip when ready. Top with raw honey and / or fruit of choice. Enjoy!